When I talk about curating style or my curate wardrobe I mean picking the right items to invest in. A little bit like a capsule wardrobe but without the rules. The item can be a small investment but it can also be a big investment. It can be a money investment but also a time investment. A time investment is how much time I need to spend to keep the item in good conditions. And that’s where this post come in. Today I want to share my tips for transitioning your wardrobe into fall. 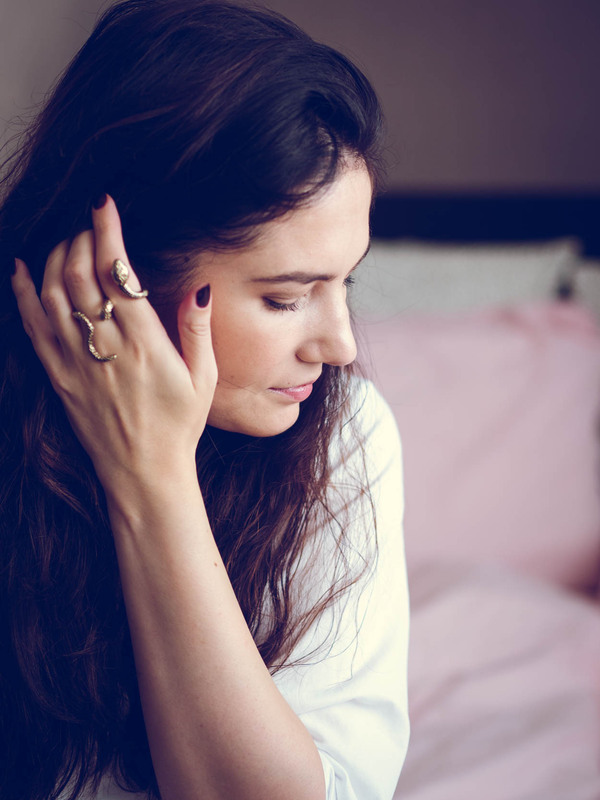 It’s all about cleaning out the wardrobe to make room for your autumn wardrobe staples. But before you put anything back into its place, you want to make sure everything is ready for fall weather: cold, fog, rain and wind. Quite an attack on the fabrics! When you invest in items, you want them to last through the years and that’s exactly why I’m sharing how I refresh and refreshen up my fall wardrobe. 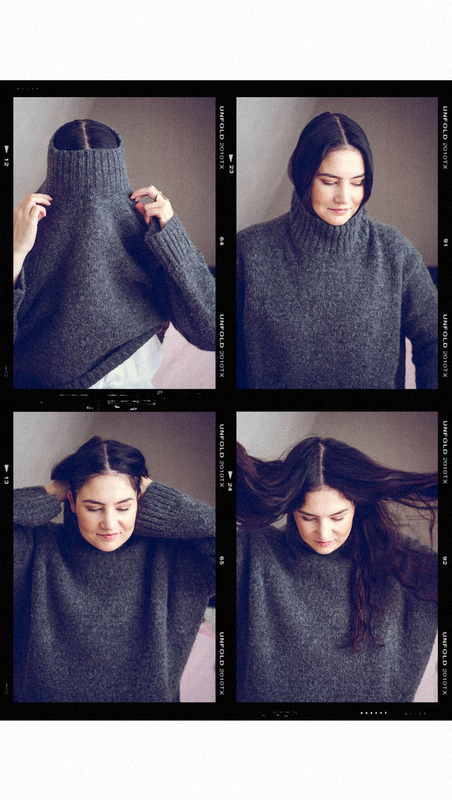 Get ready for sweater weather! First things first, pack up all your summer items and put them away for next year. But before you do, wash them! You don’t want to be welcomed next year with the smell of sweaty summer nights and old flames. Use a fresh fabric softener to make sure that the smell that welcomes you into summer is that of freshly washed linen that’s been air dried. If you have any versatile items that you wear in fall and summer — blouses for example — you can keep those in your wardrobe. The rest should be packed up in drawer or suitcase — no air tight spaces but somewhere where the moths can’t come — along with your fond memories of summer. It’s a new season, let’s make new ones! When the temperatures drop, the coats come out. And they might smell a little musty if you didn’t give them a good clean last year. Or maybe you had to wear one or two during a summer shower. In other words, it’s time to refresh the coats. 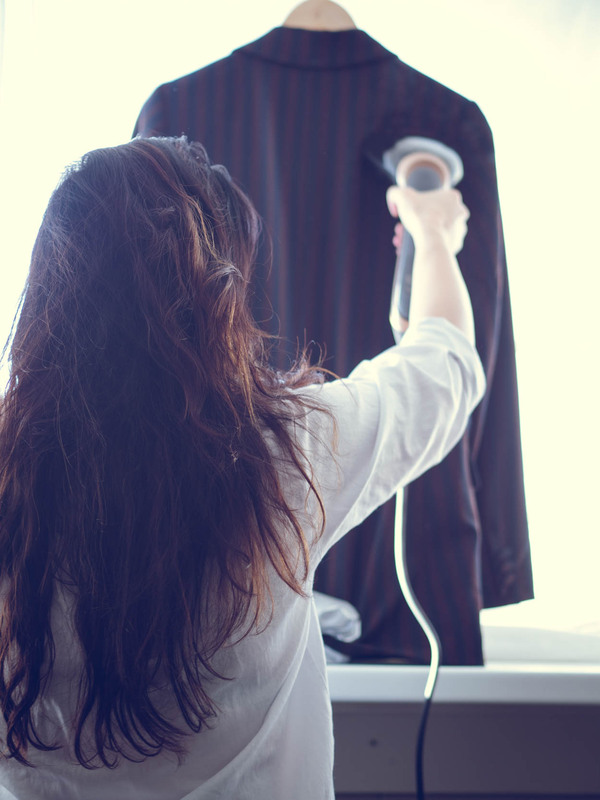 You can bring them to the dry cleaners or you can use a fabric refresher and a steamer. This year I did the latter. I mixed some fresh fabric softener with water in a spray bottle. Spray my coats and then steam the fabric. Instant freshness! If you really want to get into the fall mood, use a autumnal fabric softener. When transitioning your wardrobe into fall, the second item you want to give a good refreshen up are the sweaters. 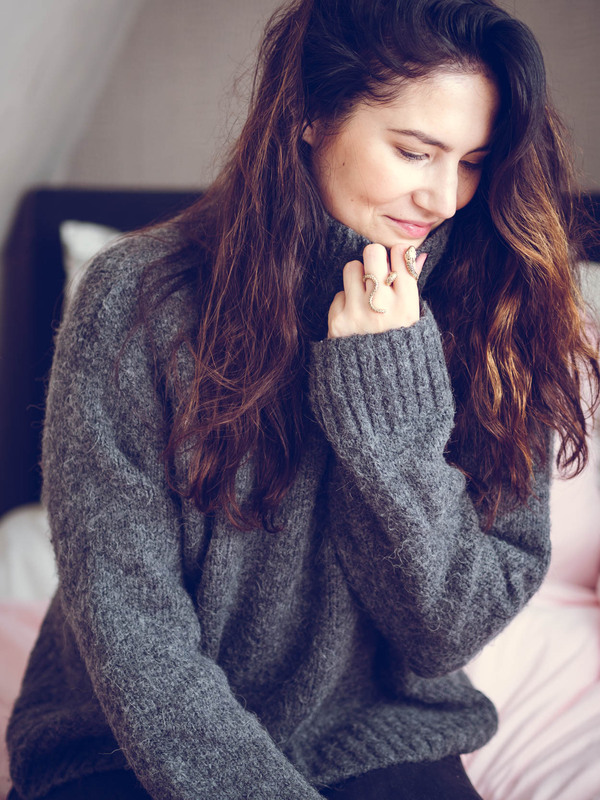 Fall is the beginning of sweater weather and you want them as cozy as possible. Whether you go for wool ones, cashmere, synthetics or a mixture, one thing you don’t want is pilling. I divide the items as much by color but it’s mostly black items or natural tones. I put the washing machine on wool and hand wash mode, 30 degrees and 800. The laundry detergent I use is Robijn wool and fine wash with fabric softener for extra softness. After the washing is done I lay the items down — NEVER hang them! — and let them air dry. When they are dry I fold them and put them into my wardrobe. NEVER hang wool and cashmere items, that will definitely make them loose their fit. 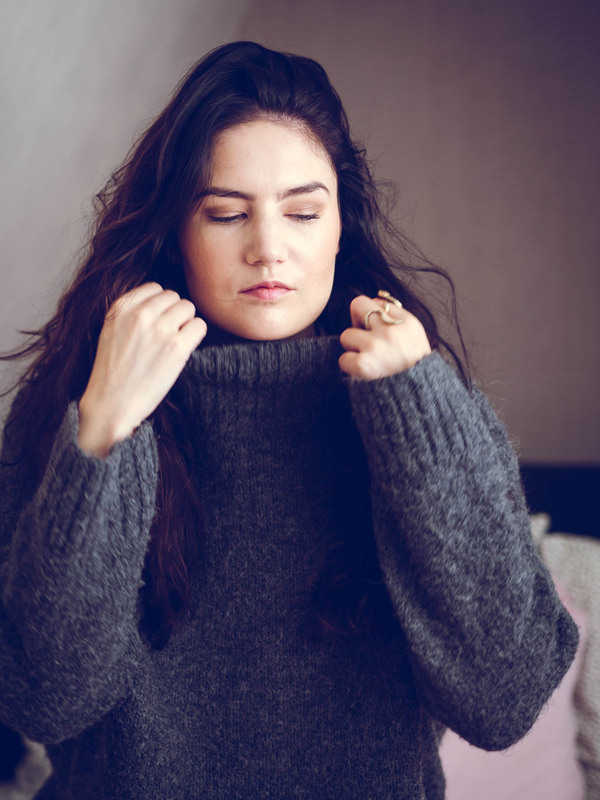 If your sweater starts pilling you can invest in a fluff remover or a cashmere stone. Both can remove fluff from the fabric without causing damage. Another thing you can do is to look at the kind of fabric your buying beforehand. Especially synthetic mixes like acrylic cause more pilling that’s harder to remove. Fall isn’t only the season of colors changing, it’s also the season with lots of rain and wind. So third up is waterproofing your favorite fall boots. Before you do, check if your boots are still in good shape. Any scratches or faded colors? Freshen it up with the right product in the right color. A couple of years I had beige suede wedges that I loved and took good care of. Until one day I didn’t check the color on the bottle and sprayed black nubuck spray on them. They were instantly ruined. The shoemaker even said so. I either had to ruin the other pair or completely dye them in another color. I ruined the other pair. So let this be a cautionary tale when you start spraying your shoes. ALWAYS check the bottle to see if the spray or wax has a color and if it’s safe to use on the fabric. Suede, patented leather or smooth leather all need to be treated differently. To waterproof your boots spray them twice every beginning of the season. 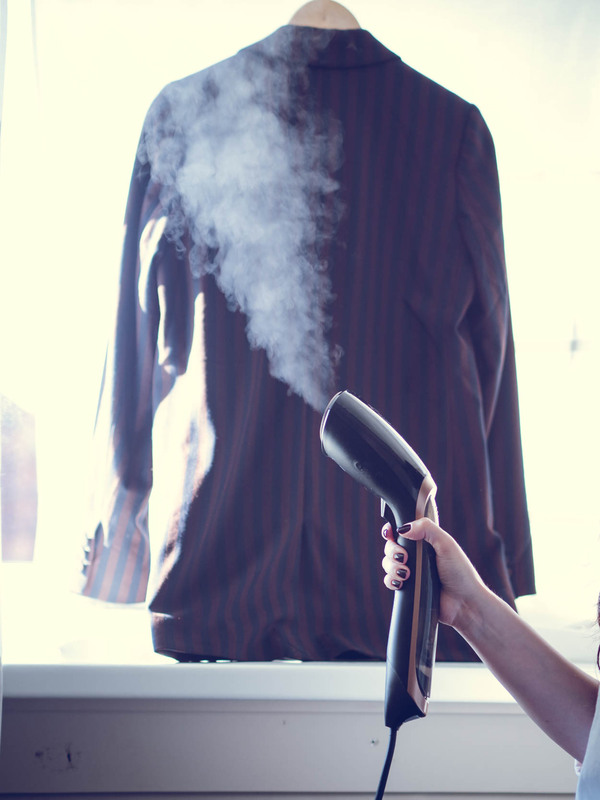 The first time leave them soaking in the spray and let them air dry — away from any heating. After they’re dried, put another coat over it and let it dry. If you have more expensive shoes or designer boots, get them to a shoemaker every start of the season to make sure they’ll last you a long time. My Chloé Susanna boots are the most maintenance prone. I take them to the shoemaker at least every three months to fix the leather. For new suede boots you want to spray them three times and soak them in the spray all three times. With all suede boots you want to brush them with a special comb to make sure they don’t go stiff. Brush the suede in one direction because otherwise you will damage the fabric. Faux leather boots can easily be cleaned with a damp cloth. If you get a multipurpose spray, you can use it on different fabrics including faux leather. Because the fabric lacks natural fibers, it can crack easier when you wear it in different temperatures — same goes for jackets — so you want to condition it to make sure it stays supple. Don’t forget your designer bags when you’re transitioning your wardrobe into fall. I say designer bags because those are the ones I keep up the most. If you have non-leather bags, you can easily clean them with a damp cloth. I personally never spray my leather bags — and never had to — so I don’t want to give personal advice on it. Your safest bet is to contact the brand and ask them how you can clean your bag the best. Sometimes they even have information on it on the website. Just like with designer shoes, if you’re investing money it you need to be willing to keep them in good shape. At least that’s my opinion. Last but not least, you can pull out your favorite winter accessories: gloves, scarves, beanie, etc. If the accessories are wool or cashmere, I throw them in the washing machine. Leather gloves I don’t do anything with because it hasn’t been necessary. But depending on the fabric, you can use a spray or wax to get them ready. When you think of wool, you probably think of a cozy sweater, sheep or Ugg boots. At least I do. Wool is a pretty cool and durable fabric. My niece also once told me that you can never get too hot in merino wool because it adjusts to your natural temperature. How cool is that? Obviously there is a whole range of different wools: mohair, merino, lamb, Angora, alpaca, and cashmere. Your normal wool from sheeps is the most inexpensive one of the bunch and cashmere the most luxurious. I’ve personally have merino wool, sheeps wool and cashmere in my wardrobe that I wash in the washing machine. However, if your washing machine doesn’t have a special cycle for it, it’s better to wash it by hand. I also have the Isabel Marant Nowles boots that have wool on the inside to keep your feet warm. The only thing I do is freshen it up with an freshener every now and then. My wool coats I freshen up with a refreshing spray and the Philips steam and go. If there is a stain on it, I’ll take it to the cleaners. The big thing with leather is that it can dry out when the weather changes. Some people actually like the weathered look and don’t do a thing to keep it in mint condition. But if you don’t, make sure you invest in hydrating products to keep the leather in good shape. Suede is extra fragile and needs a lot of upkeep, whatever the item. It can stain easily and if you don’t treat it well it can go stiff. Make sure you have the right cleaning products and ask for guidance from a specialist. Faux leather is actually pretty easy to keep in good shape. Use a damp cloth to clean it up and a special conditioner to make sure it doesn’t crack. However, I’ve had my faux leather jacket for a couple of years and have yet to see a crack. These days there is no excuse anymore to buy real fur. There are so many options in the faux fur department that look just as luxe and chic without killing animals. Rain and snow can cause your faux fur to smell. The only thing you can do is take it to the cleaners or spray it with fabric softener and use a steamer. I personally would never put my faux fur coat in the washing machine. Are you busy transitioning your wardrobe into fall? What are your top tips?